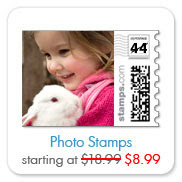 Snapfish has a great deal on their Photo stamps. You can get 60 stamps for $21.36 or just $.36 a stamp! Join Snapfish and click on the home tab and then “Join Our Birthday Bash” or follow this link (after joining!). Order 3 sets of 20 stamps at $8.99 each. Use the code snapfish321 at checkout to get $10 off your $25 purchase. 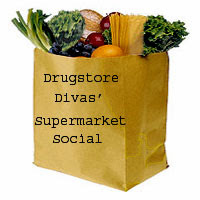 Your totally will be just $21.36 shipped or roughly 35.6 cents a stamp!